Standard sized play mat measures approximately 24" x 15"
A Rickle in Time inspired design featuring cats floating in the void of uncertainty, outside of time. 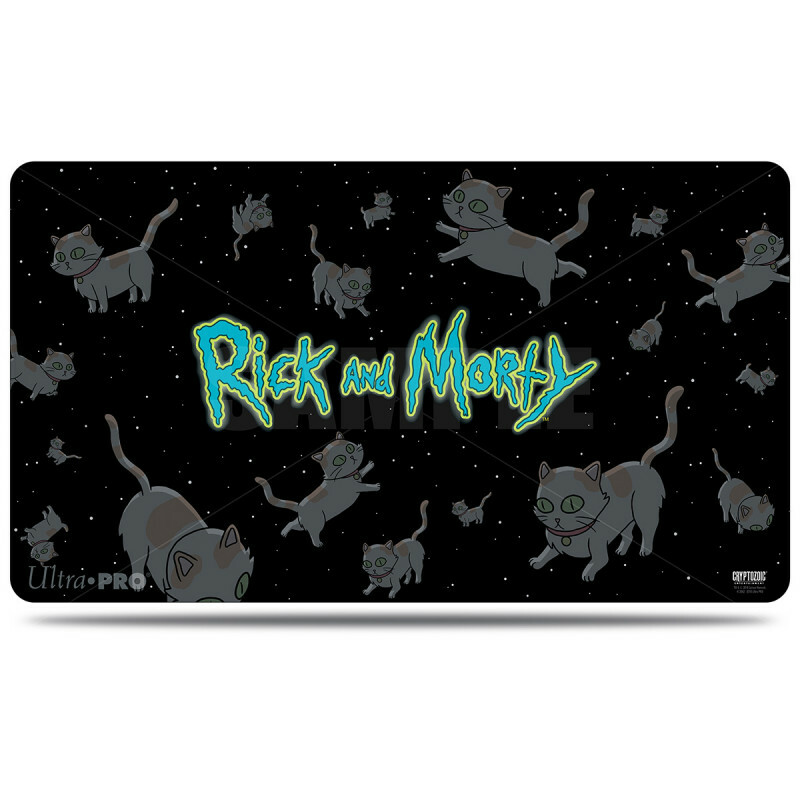 Rick & Morty fans rejoice and game in style with Ultra Pro's Rickle in Time Playmat is constructed from premium fabric top to prevent damage to your cards during game play while it's durable rubber backing ensures mat stays flat and prevents shifting during use. Playmat measures: approximately 24" X 13.4". Made in U.S.A. and each comes with an UltraPRO Playmat Tube.